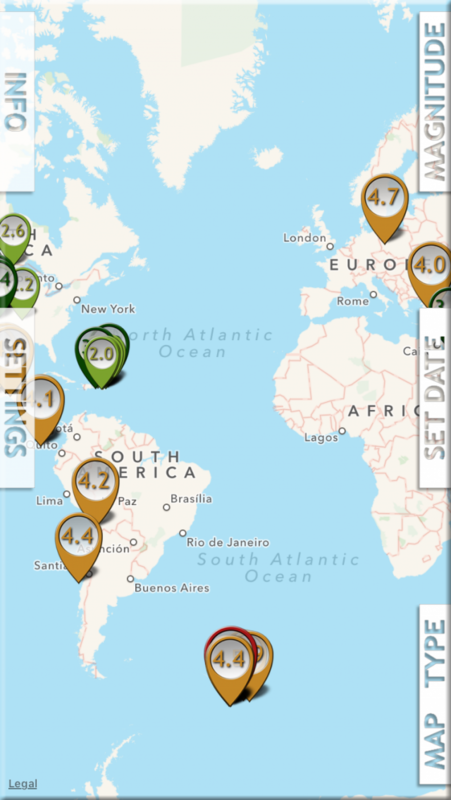 "Pulse of Earth" - infornation app about all earthquakes. - no Ads & no paid subscriptions. 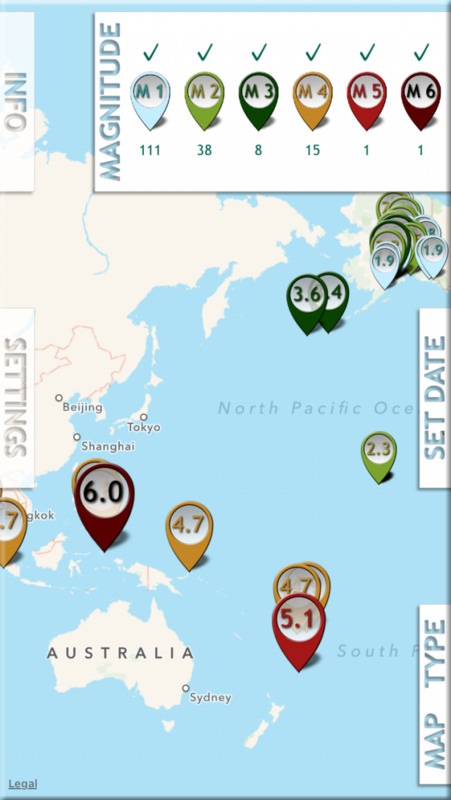 - all current earthquakes on our Earth. 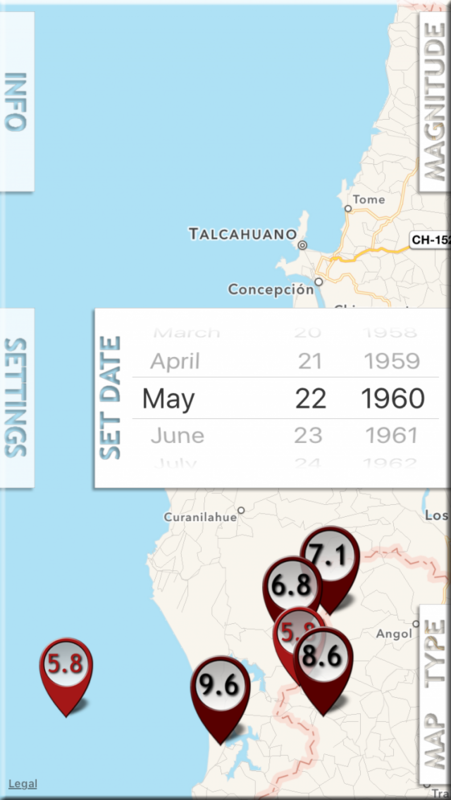 - all the seismic activity for any date in history. In-App Purchases only if you wish to help this project! 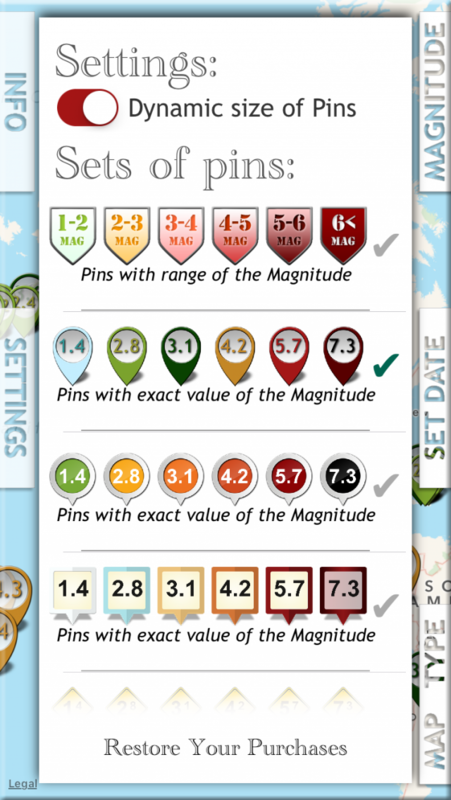 or you want to have a more beautiful design of pins sets. 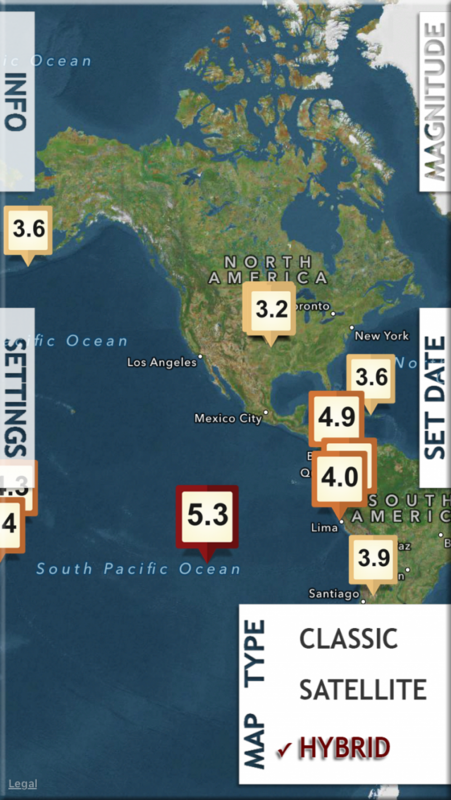 - Just Set any Date & watch All earthquakes on map for this day. - Today (right now) or in history - doesn't matter. - Filtered the range of magnitudes, if it necessary. One small Bonus: make long tap on any place on map - & see information about this place.